Gustiamo is a proud member of this venerable organization and every year donates a food basket for the silent auction for its Culinary Trust. This year, we were invited to donate by Paula Lambert, the owner of the Mozzarella Company, in Dallas, TX. Paula not only sells mozzarella, but also both local and imported beautiful cheeses. Hence, the content of this basket, all cheese condiments: Organic Apple & Rosmary Preserve by San Matteo Organic Farm; White Dop Cilento Figs jam from Campania; pure Corbezzolo Honey from Sardegna: Zibibbo grape Elixir from the island of Pantelleria. All you need for a well traveled and delicious cheese board. 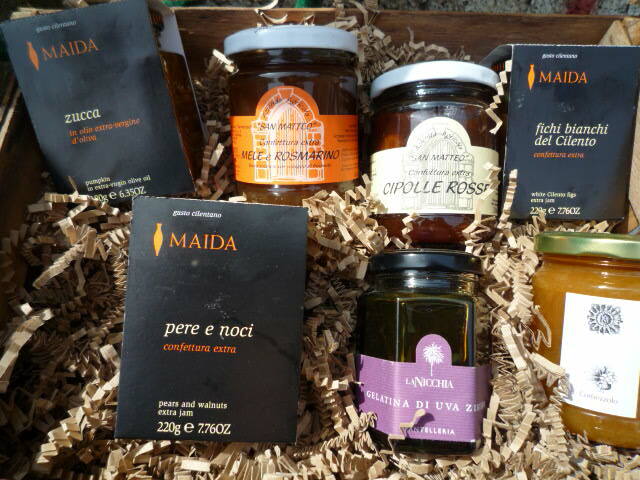 If you are in Portland… mi raccomando: BID HIGH on Gustiamo gift basket!